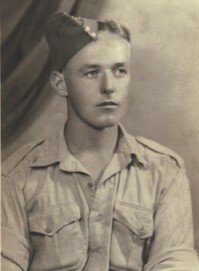 Official intimation has been received that Lance Corporal John Gray Leaver, R.E.M.E., the youngest son of Captain and Mrs. Gray Leaver, of Southport, formerly of Simonstone and Burnley, has been wounded in action in Libya. The official report states that the injuries are multiple bomb wounds and it is learnt that these are serious. Lance Corporal Leaver is an old boy of the Burnley Grammar School, enlisting in the Territorials, R.A.S.C., previous to the war and was mobilised on the outbreak. His brother, Noel S. Leaver, A.R.C.A., is serving with the Royal Artillery, and another brother, Peter G. Leaver, is a mobile officer in the N.F.S. in the No. 1 Region, both being old boys of the Burnley Grammar School.